A comprehensive, affordable data preparation solution for Charities. In our view, clean data has to be the starting point for all charities. Data is such a valuable asset and can directly affect how you are viewed by your supporters. A charity that bombards its prospects with an inappropriate message will soon experience supporter fatigue. Excessive or incorrect mailings portray an organisation as sloppy and wasteful – a cardinal sin in these environmentally aware times. With the large number of suppression files available in the marketplace and the ease with which a charity can access them, mailing ‘goneaways’ or worse, deceased, can show a lack of competence and/or sensitivity. 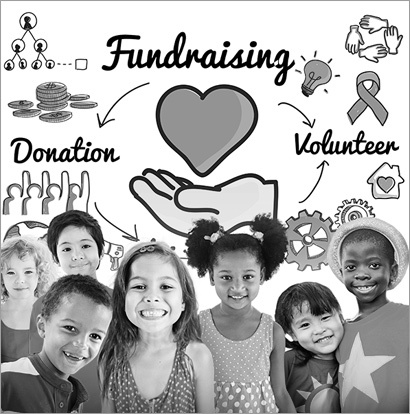 An estimated 42% of charities use direct mail as their primary way to raise funds. So it’s important to make sure the quality of data being used for these campaigns is as good as it can be. Always use cleansed data to target new and current donors. Remember, data cleansing will always save you money in the long run and will ensure your reputation is maintained. Use the full range of data cleansing processes available to ensure utmost data quality: – PAF cleansing, de-duplication, GoneAway and Deceased Suppression. Use the NCOA Update file to ensure current Donor addresses are up to date. Keep your data up to date by implementing a data management strategy. We recommend, that this should include a data cleansing schedule. This will ensure an up-to date database so helping increase donor retention and acquisition. Through our Boardroom platform, we can offer full donor and donation management securely online. This enables our clients to record new donations, perform donor searches, data extracts for mailing, campaign management and detailed reporting. Why not take a look at our case study, or contact us to discuss your requirements.